Feel the power of complete dust control with MACH’s vacuum filtration technology. 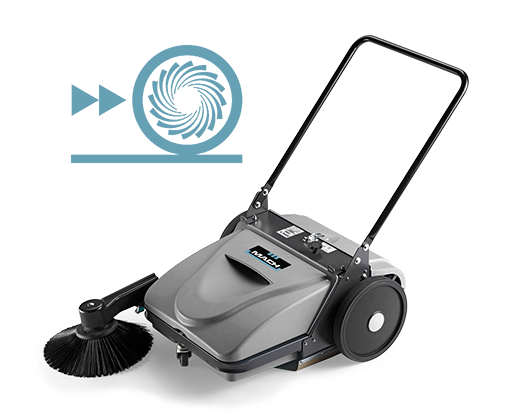 The MACH MEP is the only manual, cordless, battery free sweeper with a built in filtration system, delivering incredible cleaning performance and unlimited running time. 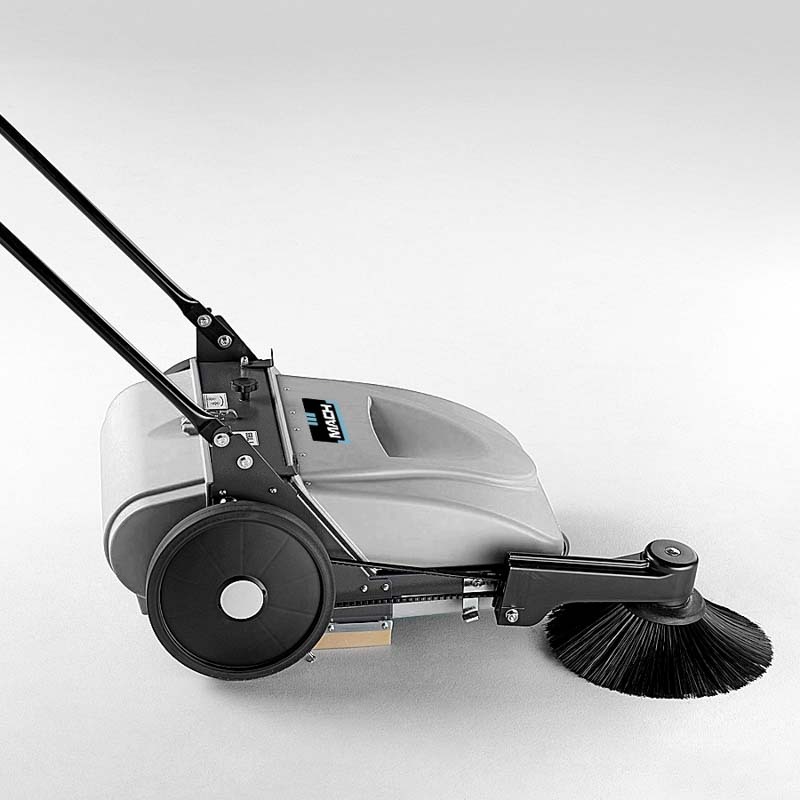 Powerful innovation, the only manual, cordless, battery free sweeper with vacuum filtration technology. The MACH MEPs innovative design uses our patented vacuum filtration system. 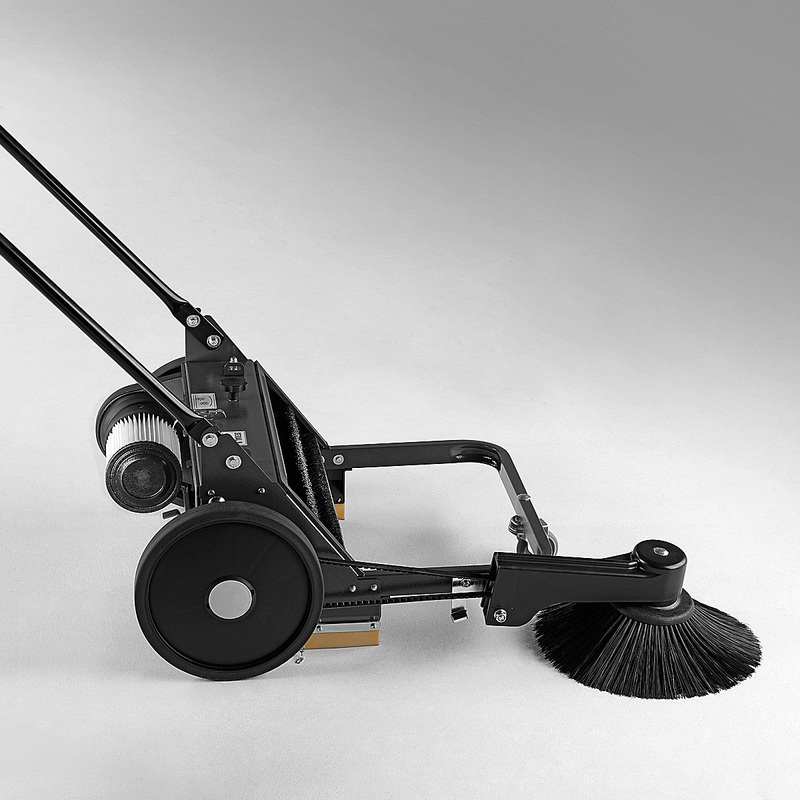 This technology enables complete dust control during sweeping, ensuring your clean is effective and safe. 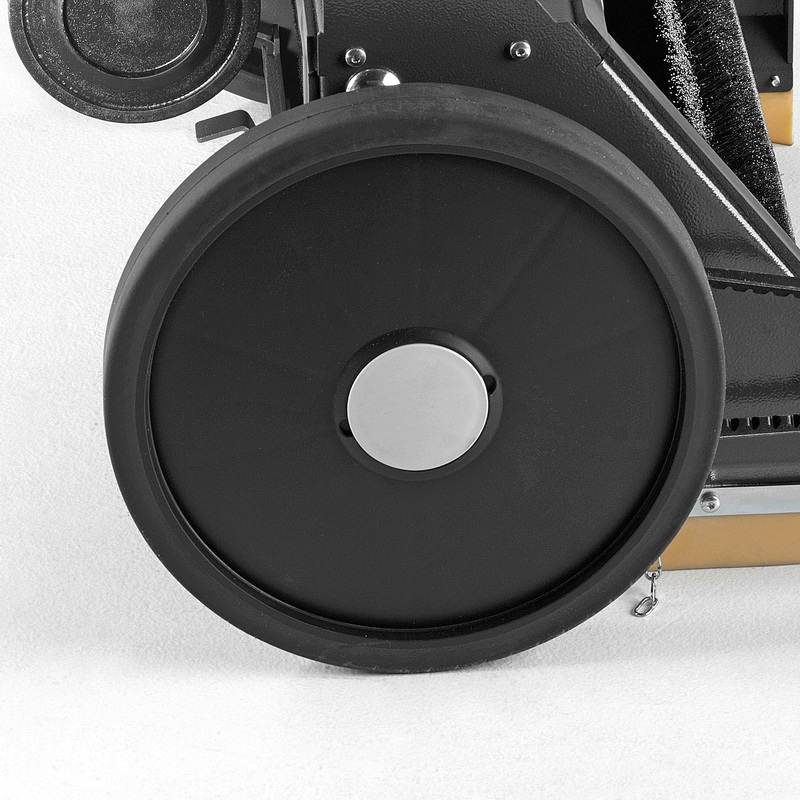 The MACH MEP provides more cleaning power than an auto-sweeper, without the need for batteries, motors or cords, giving you optimum sweeping performance with no hassle. It is the smart solution to productive and ecological cleaning. 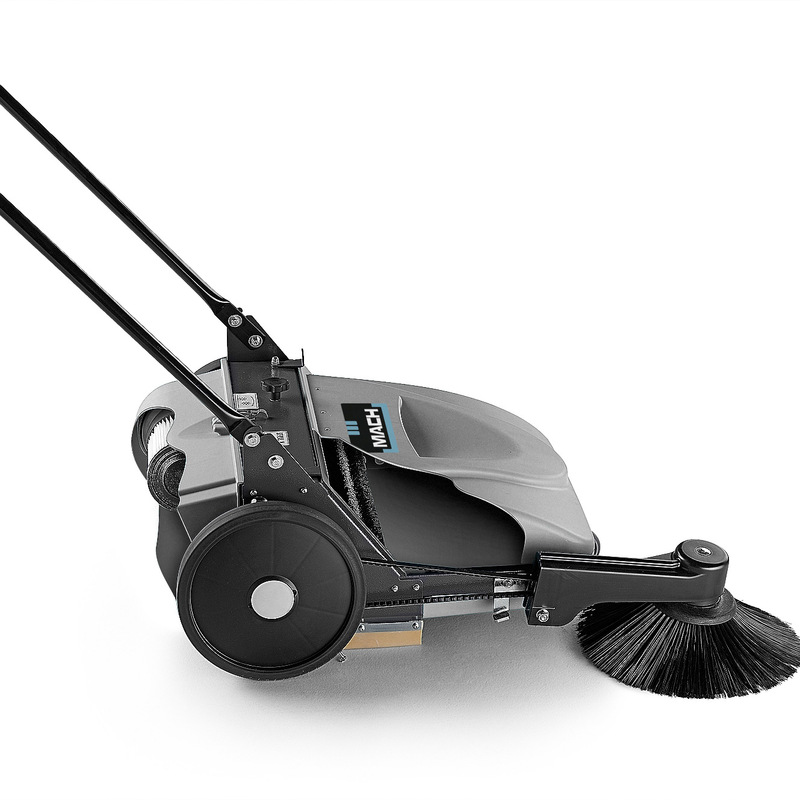 The MACH MEP is a manual walk behind sweeper ideal for indoor and outdoor cleaning on hard and soft surfaces. It is agile in tight spaces and has an adjustable side brush that effectively cleans hard to reach places. 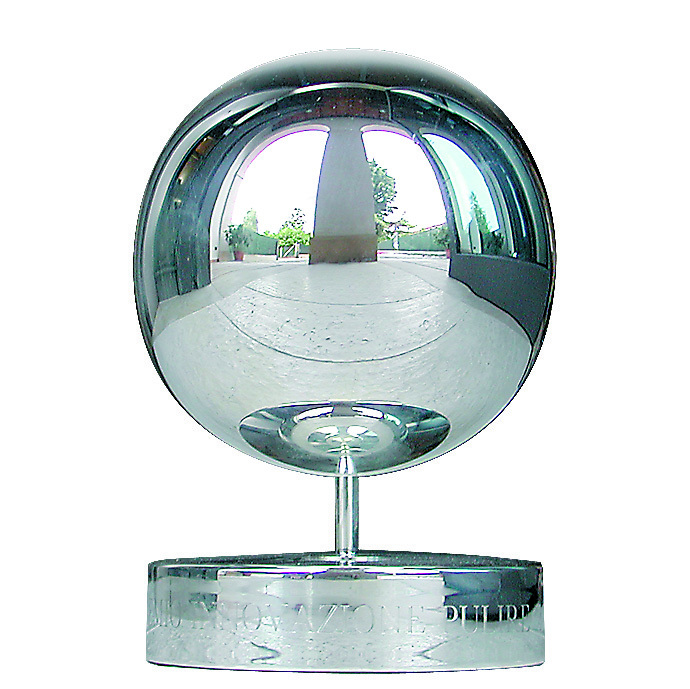 You can depend on quality manufacturing that uses heavy-duty materials making the MACH MEP durable and resistant to impact. When the machine is pushed, either forward or reverse, the wheels engage a gear box which activates the main brush and vacuum filtration system. Manual operation means that this sweeper is silent during use and therefore is perfect for noise sensitive environments. Experience powerful at any time cleaning at your fingertips. 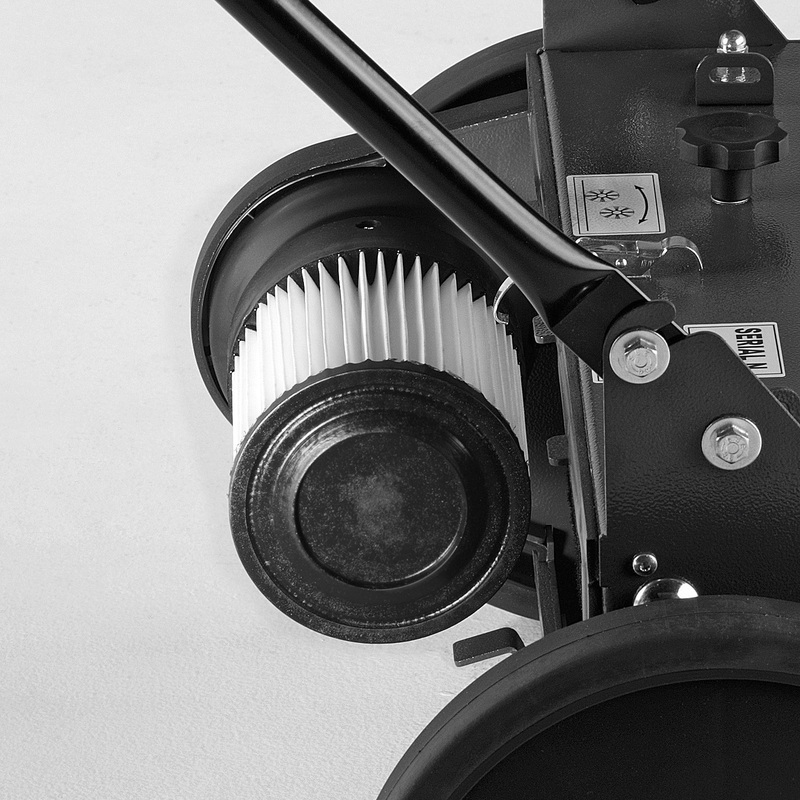 MACH MEP is equipped with a cartridge filter, which is made of polyester, to retain small particles of dust. The filter is washable and can be easily removed for maintenance purposes or eventual replacement. 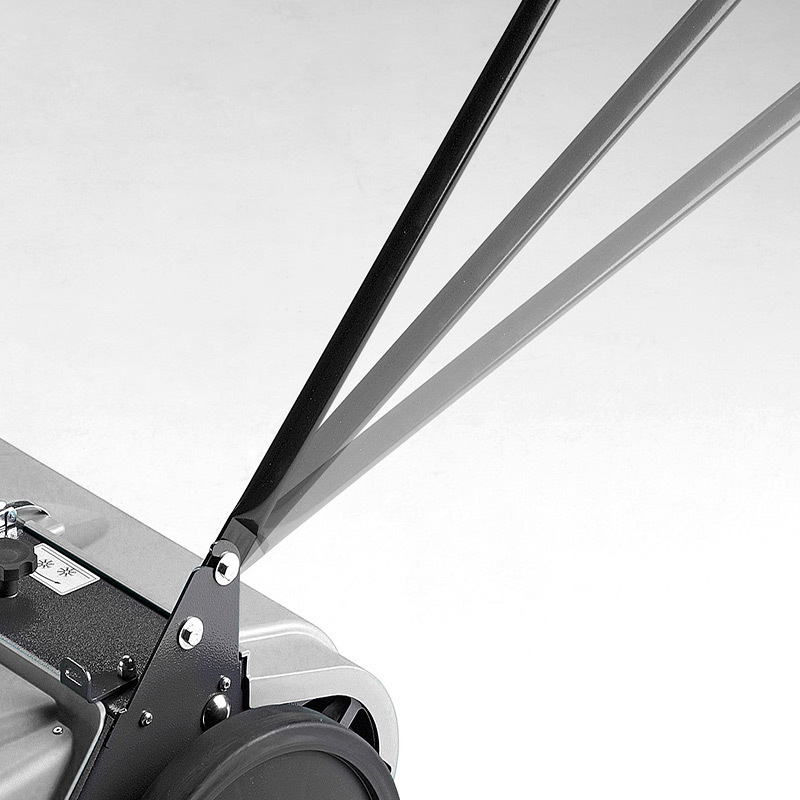 Rely on high quality manufacturing; the MACH MEP is built to last using heavy-duty materials with a coated steel chassis and durable ABS thermoplastic hoppers. Compact design for agility in tight spaces. Large rear wheels enable easy handling and a front pivot wheel ensures maximum maneuverability and effortless steering. The large capacity hoppers are light and have an ergonomic handle molded into the design for easy emptying. The gearbox system creates high-speed brush rotation in both forward and reverse directions, capturing dust and debris in a single pass. Maximum power, minimum effort. Impact resistant side brush enables easy cleaning of hard to reach places. Pass along walls, pavements and under shelving, effectively capturing dust and debris. The 10-section Multi-Bristle® brush effectively picks up dust and debris. 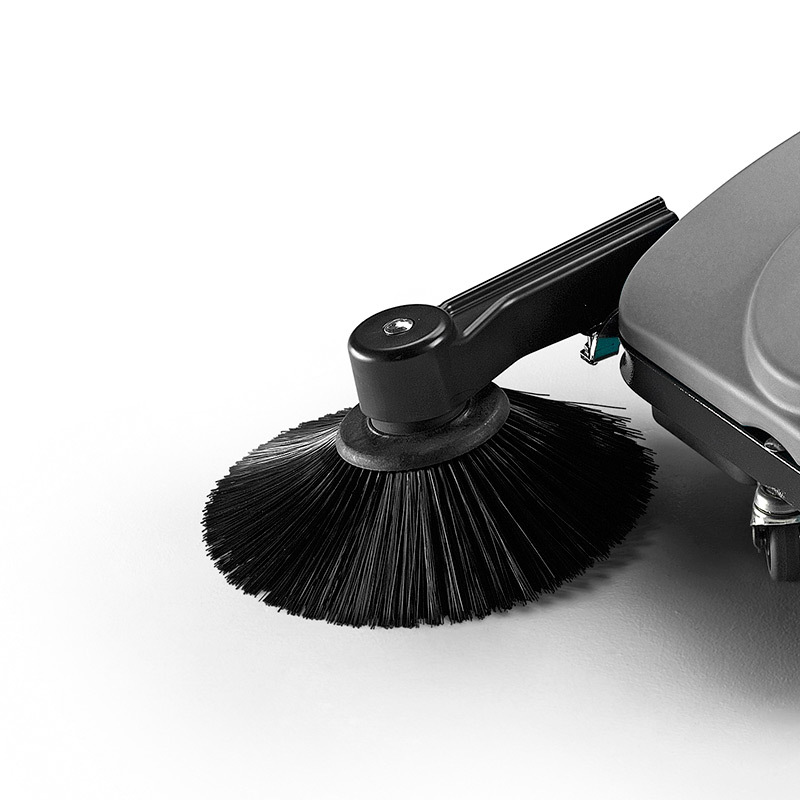 Brush pressure is fully adjustable to the floor surface and type of debris, to achieve maximum cleaning performance. 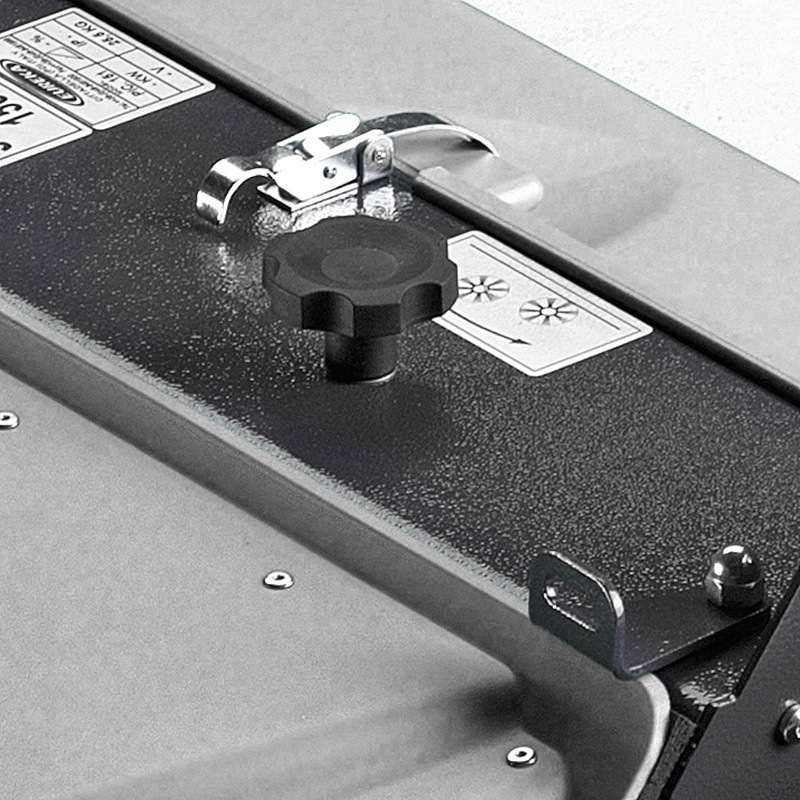 The MACH MEP’s strong steel handle is simple to adjust and ergonomically designed for maximum user comfort. It cleverly folds away making the sweeper simple to store. Warehouses, industrial sites, building sites, schools, offices, stations, hospitals, public spaces, airports, shopping malls, retail stores, car parks, residential spaces and yards.